In the spirit of “there’s always room for one more,” here’s a look at some of the mobile games released so far in January 2015, which you might have missed. In the spirit of, “There’s always room for one more,” here’s a look at some of the mobile games released so far in January 2015, which you might have missed. 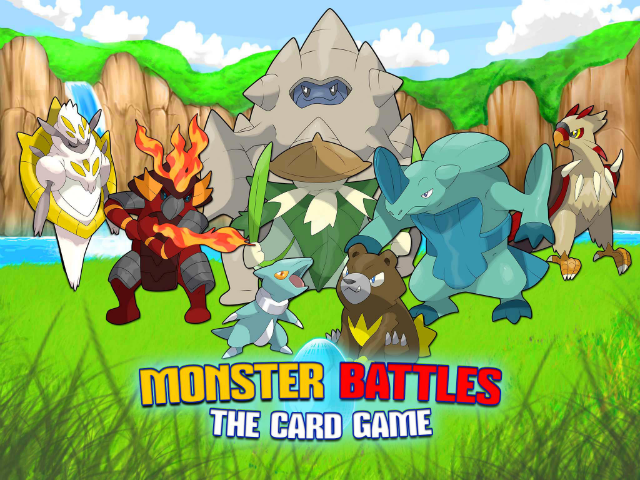 Monster Battles: The Card Game (Free on iOS, Android) — This collectible card game from FrozenShard Games asks players to collect and evolve a variety of monsters, taking them into level-based battles against computer-controlled opponents, or into online battles against other players. During battle, players cast monsters onto the playing field, which attack any monster directly in front of them. If no enemy monster is present, the attack hits the other trainer directly, until one trainer runs out of health. Monster Battles: The Card Game is coming soon to Facebook and Kongregate. Adventure Time Game Wizard ($4.99 on iOS, Android, Amazon) — Cartoon Network’s side-scrolling platformer stars Finn and Jake as they face off against a new villain: the Doodle Wizard. The game allows users to customize their experience by drawing their own platforms and in-game objects on paper in the real world, before scanning them into the application. Users can also create levels directly within the game, and can play those levels created and shared by other users. Change Course (Free on iOS, Android) — This “endless flyer” from Apps & Smiles challenges players to avoid oncoming air traffic by tapping on one of multiple lanes to send their plane into that lane. For more challenge, spinning orbs are scattered throughout these flying lanes, which must be collected in order to continue. When players hit another plane or miss an orb, it’s game over. Combo Quest ($0.99 on iOS) — Tapinator’s reflex-focused “endless RPG (role-playing game)” sees our hero running from left to right across the screen as he encounters increasingly challenging enemies. During each battle, players tap on the screen as a line moves across an attack bar at the bottom of the screen. Tapping within green and yellow segments causes damage to the enemy (for instance), while tapping during a red section blocks an enemy attack, and so on. Players and enemies become stronger over time, and players will upgrade their hero as they progress. Shadowmatic ($2.99 on iOS) — This iTunes Editors’ Choice from Triada Studio Games sees players rotating abstract objects in a spotlight to manipulate the shadows they cast on the wall, in an attempt to create an image of a familiar object, like a fish or a rabbit. The game features more than 70 levels, which can be tackled in a non-linear progression style. Users can also complete secondary objectives as they tilt and twist the items in each stage. Linebound — Life on the Line (Free on iOS) — This arcade title from TabTale’s Crazy Labs publishing division challenges players to guide a dot along a looping and swirling line by tapping and holding on the left and right sides of the screen to force the dot to jump away from the line and avoid obstacles (releasing the hold centers the dot back on the line). The game challenges players to survive as long as they can through levels of increasing difficulty, and was downloaded more than one million times in its first 72 hours on the App Store. Moon Quest: Dungeons Dark (Free on Android) — From Animoca Brands, this dungeon-crawling RPG takes players to a fantasy world filled with vampires, werewolves and other mythical creatures, as they battle “the powers of evil that lurk in the moonlight.” Players choose from one of three playable races, each with their own upgradeable skills, and battle using a virtual joystick and attack buttons across the bottom of the screen. In addition to the standard campaign mode, users can enter the Infinite Dungeon once per day, testing their skills against endless waves of enemies.